Little did Scott know that this very moment, this extraordinarily quiet event, on this ordinary day inside a humble office with children’s artwork taped to the wall, would ultimately define his life and career. Today, 23 years latter, Scott is one of Southern California’s leading experts on children, teens, and how to parent them (and he still looks like a youngster!). In spite of his challenging start filled with rejection, Scott’s list of impressive achievements include becoming one of the youngest ever licensed as a Marriage, Family, & Child Counselor in California after earning degrees in Counseling Psychology from Pepperdine University and Southern California College (now Vanguard University). Scott Peebles is a child and teen counselor, parenting expert, couple and marriage counselor, professional speaker, staff development trainer, and consultant—but of all his titles, he feels the most important one is Coach. Scott will tell you that to be successful as a parent, educator, or a young person just growing up - you'll need skills and tools. That's what Scott does. He gives those he helps the skills, the tools, and the directions on how to use them. Scott is also one of the most exciting and entertaining speakers on children, teens, and parenting in our nation today. Whether it’s through his counseling, or trainings and seminars; Scott is remarkably gifted in inspiring and showing and teaching parents and educators how to recognize and use their full potential to make a profoundly positive difference in the lives of their children or students, and in themselves. He specializes in giving parents and educators simple, easy, and practical ~ but powerful parenting tools they can use immediately to increase their parenting abilities and solve the behavioral problems they face with their kids. Scott’s reputation as an innovator in the area of parenting and children is well deserved. Before founding his own practice, he was the Supervising Training Case Manager for Olive Crest Treatment Centers for Abused Children in Orange County, CA. While with Olive Crest, he provided training and supervision to professional masters level counseling interns, staff counselors, house managers, and supervised the day-to-day operations of two psychiatric group homes for abused adolescents. Scott incorporated scientific methodology with his extensive knowledge of human behavior to guide counselors toward the skills they need to help change lives. Scott’s “hands-on” work with Olive Crest’s foster parents during his parent training workshops earned him a reputation as an enthusiastic coach and an invaluable resource as he helping teach them how to heal children who have deep emotional scars and severe behavioral problems. Prior to his work with Olive Crest, Scott was a clinical high school counselor with Rossier School, a private non-public school for children with severe emotional and behavioral problems in Garden Grove, CA. Scott was noted for having an almost innate ability to help children who were seen by others as hopeless. Besides counseling the high school students, Scott trained the staff counselors and teachers on adolescent and child behavior and the use of effective therapeutic interventions and how to use them in a classroom setting. Before this, Scott worked with Community Service Programs, Inc. He was the in-house clinical Youth and Family Counselor at the Laguna Beach Police Department. He provided diversion counseling to teens that were first offenders for a multitude of minor crimes. Rather than going straight to court or the probation department, they had the opportunity to work with Scott to get their lives back on track. Along with his counseling at the Laguna Beach Police Department, he developed and taught a drug & alcohol intervention and prevention program for “at risk” adolescents in the junior and senior high schools of South Orange County, California, called Positive Action Toward Health. Even at this young stage of his career, Scott was recognized by students, teachers, police and probation officers alike as an energetic and popular counselor, speaker, and trainer. When Scott spoke, people were already beginning to listen carefully. Scott’s passion for his work is contagious. He attributes his success as a child counselor, couple’s and marriage counselor, and motivational speaker to his beliefs that “the quality of your life is equal to the quality of your relationships,” and that “there is no such thing as failure, only results.” His seminars offer something for everyone, regardless of position or title, because of their emphasis on interpersonal dynamics and improving relationships. When Scott speaks, he weaves a training tapestry that shares insights and inspiration gained over his more than twenty-three years of experience working with children, teenagers, parents, couples, pre-schools, elementary / middle / and high schools, nonprofit organizations, large and small corporations, police and probation departments. With a training style that incorporates a solid behavioral and cognitive psychology education, the inspiration of Olympic heroes, and lots of humor and laughter - Scott Peebles enlightens and energizes his audiences, challenging them, and giving them the tools and strategies, to be the best parent, teacher, and professional they can be. Educators, counselors, school administrators, and parents agree that his seminars teach them to stretch their professional abilities, and their personal aspirations, by challenging their preconditioned boundaries while he gives them easy tools that work in the real world of their home and their classroom. Plus, he's just so much fun to have as your speaker and trainer! Scott’s belief in the power of a winning attitude is more than a training cliché to him - it’s a way of life. An avid runner, rollerblader, mountain biker, and former collegiate competitive track athlete, he resides in Huntington Beach, California. 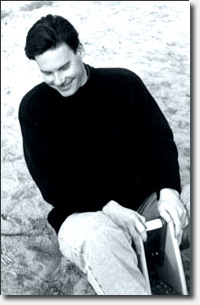 Scott is a clinical member of the California Association of Marriage and Family Therapists. He is also a member of the National Association for the Education of Young Children.